Lord of the Flies meets Pygmalion in this brutal look into high school bullying and peer pressure. Simon Glass was easy to hate. . . . I guess, really we each hated him for a different reason, but we didn’t realize it until the day we killed him. 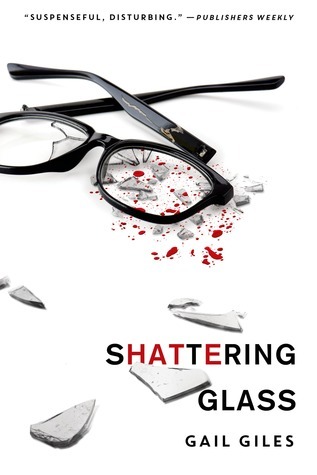 Fat, clumsy Simon Glass is a loser who occupies the lowest rung on the high school social ladder. Rob, a transfer student with charisma to spare, immediately becomes the undisputed leader of the senior class. And he has plans for Simon. Rob enlists the help of his crew—wealthy, intellectual Young, ladies’ man Bob, and sweet, athletic Coop—in a mission: Turn Simon from total freak to prom king. But as Simon rises to the top of the social ranks, he shows a new confidence and a devious side that power-hungry Rob did not anticipate. And when Simon uncovers a dangerous secret, events darken. The result is disquieting, bone-chilling . . . and brutal. Oh. My. God. This book took my breath away. I honestly mean that – the last 30 pages or so, I don’t think I full exhaled once. I sat in a book coma for an extended period of time trying to come up with words for how this book made me feel. I won’t lie – there were points where I was confused. But by the end, it all made sense and it made me want to go back and reread all those parts over again, which should always be the authors goal – to make you want to reread. I loved the writing style. It was so different from many other books I’ve read. This was disturbing and suspenseful and terrifying and made me want to hold my breath even though I kind of knew what was coming. I’m still not fully out of my book coma that this book has induced so I’ll end here. Wow….just, wow. This was a great, great read. Definitely recommended.